Sometime you might need to send fax to someone urgently and you are not having fax machine service at that particular time then what will you do? Or say you are not having any fax machine then what? You won't be able to send fax at required place. So today in this guide I am going to show you how to send and receive free faxes online. Here is a tool called HelloFax using it you can send fax for free online anywhere in the whole world. 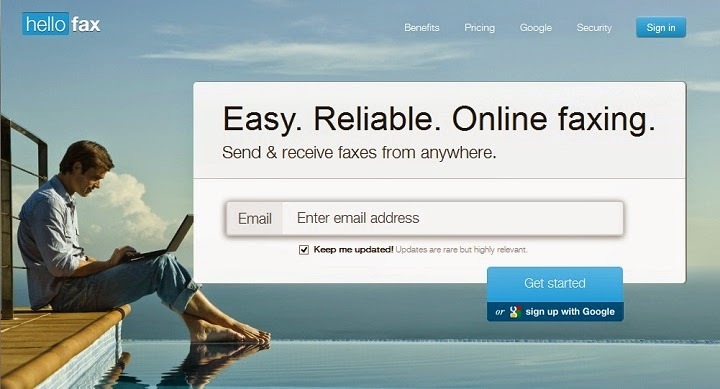 Now it is possible to send international faxes for free with this cool website. The only thing that you need for this work is either a Hotmail account or Google drive account. Now a days almost all the users are using email service, but fax service is older than email service. People are keep on sending their important documents through fax machine from years. To send a document from fax machine first you need to print it when you are done, you can send it. It is used all over the world in lots of companies, offices. But now you don't need to pay for a fax machine. All this you can do online with HelloFax Service. HelloFax allows you to send fax for free online to anyone in the world but if you want to receive fax then you will need to pay a decent amount. It will give you an incoming fax number. You can send different format documents such as Word Documents, PDFs, text files and much more. Below is a step by step process on how to send fax online for free. When you receive a fax, HelloFax send it to you as a PDF file. You can set up as many fax lines and users as needed and route inbound faxes any way you like. Within minutes, everyone in your organization can send and receive faxes. You can transfer your current number to HelloFax and they will do the rest. There is no downtime or faxes lost. You can send, retrieve and manage your faxes from the cloud. They are integrated with Google Cloud, Dropbox, Box, OneDrive and Evernote. This service is completed secure. All the transmissions are encrypted with bank-grade level of security. HelloFax comes with 3 main plans that is Home Office ($9.99/mo), Professional ($19.99/mo) and Small Business ($39.99/mo). You can signup on HelloFax in two ways either with your hotmail account or with Google Drive account. To signup with your hotmail account go to http://hellofax.com/skydrive and signup there. To sign up with Google Drive account go to http://hellofax.com/googledrive and sign up there. After your signup process is complete just upload your desired document to send as a fax. When your uploading is finished, it will ask you about the fax machine number and the country code. Enter the required details in the field and hit enter. Once the fax is delivered, copy of this document will be saved either on skydrive or on Google Drive. You can check there for the confirmation. You can only send free fax online using this service, you can't receive any fax. If you want to receive fax then you will need to upgrade your account. So this was all about send and receive faxes online for free. If you face any inconvenience regarding this tutorial then feel free to comment below. I can also recommend online fax from Popfax: http://www.popfax.com It does not require any landline or fax machine. It is easy, fast and interface friendly.